We deliver to Germany and all other countries that have no distributor. 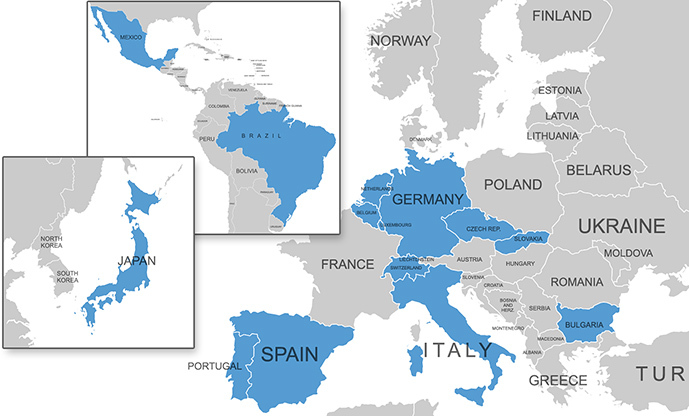 Our distributor for Spain, Portugal, Mexico and Brazil. Our distributor for Czech Republic & Slovakia. Our distributor for Belgium, The Netherlands and Luxembourg. 7 Taihei Boeki Co., Ltd.